We live in an unprecedented era of flourishing of scientific publishing. 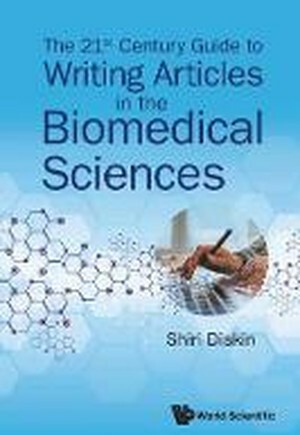 However, many professionals in the biomedical sciences find writing articles to be a daunting task. The book is meant to serve as a practical writing guide that covers the writing process from the project's inception until online distribution of the published article. The book covers the framework for constructing a scientific study into a coherent narrative that can later be easily translated into a written manuscript. The content of each article section in accordance with the IMRAD format is covered and many details for the construction of additional submission materials are provided. Characteristics of papers reporting on specific types of research are presented as well as article types other than the general full research article. The book is full of resources for additional reading and learning. There are many writing guides on the market. Most of them are general, cover a wide range of scientific writing, and are mainly aimed at students. This book is best suited for young professionals who are a few years out of school. They no longer enjoy the benefit of close mentoring by a thesis adviser or equivalent, but still lack the experience to lead writing projects on their own. Through her experience of teaching young professionals and editing their work, Dr Diskin has learned their unique set of needs and the book has been written in an attempt to address them. Dr Diskin addresses the reader in the second person, with an ever-supportive tone. Importantly, the practicalities of writing articles in today's interconnected environment are discussed throughout the book. Topics such as coordinating the writing in a multinational team, use of different types of software in the writing process and resources available online to support the writer are addressed in detail.